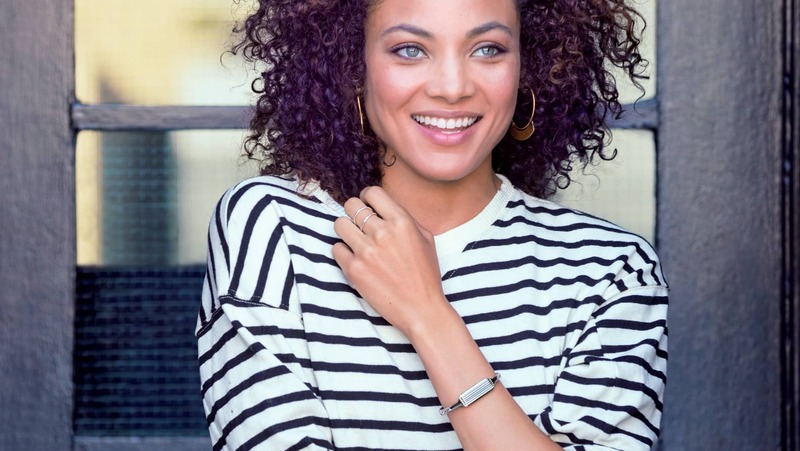 The Fitbit Flex 2 bangle is made from premium stainless steel. 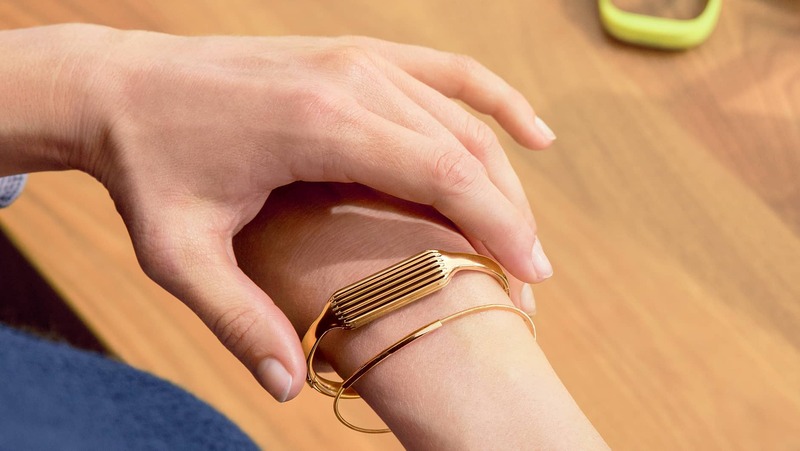 The gold and rose gold bangles are 22k gold plated. 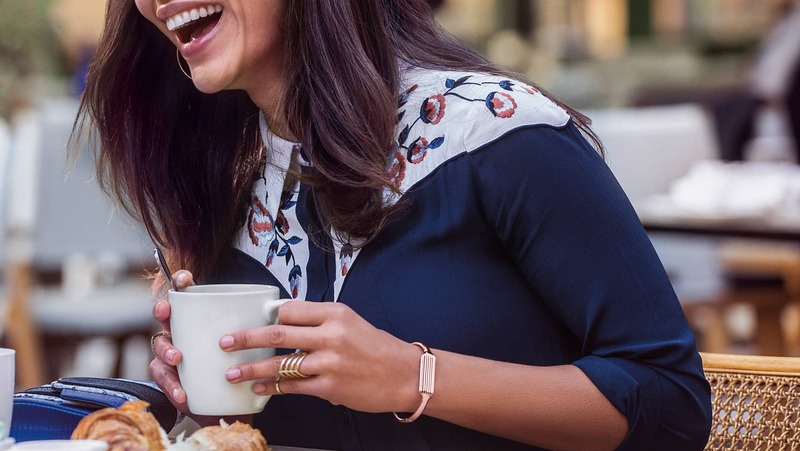 Flex 2 bangles are not sweat or water resistant. We recommend limited to no contact with moisture to reduce discoloration/damage. Loose fitting accessories may cause variations in activity stats. Metal accessories are not intended for high intensity workouts. If the bangle gets wet or dirty, we recommend using a non-abrasive, lint-free cloth to clean it. If needed, you can lightly dampen the cloth with water and wipe dry. To maintain the life of your bangle, limit exposure to moisture, which may cause fading/tarnishing over time. Learn more.